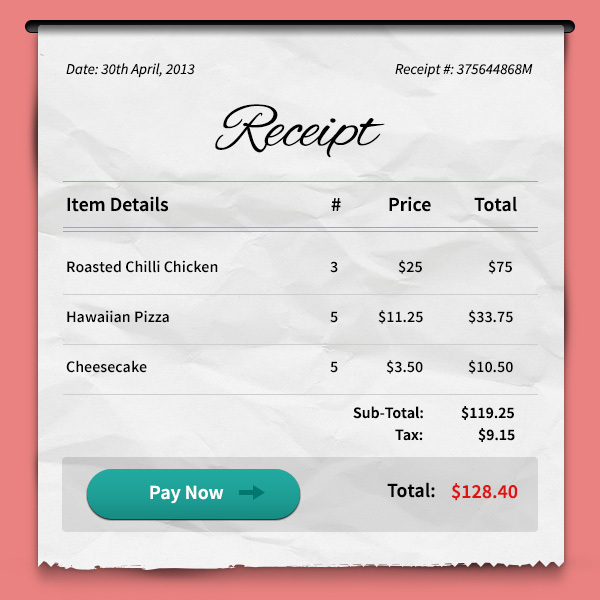 Friend’s today’s freebie is a payment receipt created in fully-layered Photoshop PSD format. The graphic resource is a realistic-looking receipt that you can use to customize the details and send or display it to your customers as part of payment. You can even resize it to show as a quick receipt widget on your emcommerce site or can be used as part of email receipt for product sales. Short and beautiful, and up to you!